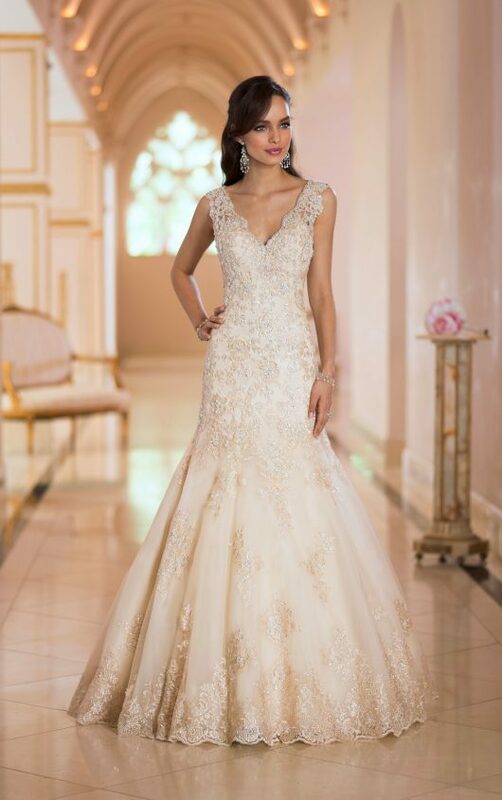 An enchanting collection accompanied with dramatic beading, lovely laces and beautiful fabrics, the Stella York bride will walk down the aisle in elegance. The dresses below are shop samples of Stella York styles in excellent condition. They are discontinued styles which means that they are to be bought off the rack and can’t be ordered in different size or colour. We will ship anywhere in the world free of charge. Any inquiries outside Australia please phone +612 4048 1110 or if within Australia contact us via email or by phoning 02 4048 1110.